REDMOND, Wash. — Microsoft has revealed a new fighting game inspired by Nintendo’s successful Super Smash Bros. franchise, which will celebrate the Xbox’s rich history of exclusive games and features with a total of two playable characters. Titled Xbox Legends, the game digs deep into Microsoft’s catalogue of first-party franchises with a star-studded line-up of Halo’s Master Chief and a car from the Forza racing series, the latter of which will serve as the game’s only unlockable character. 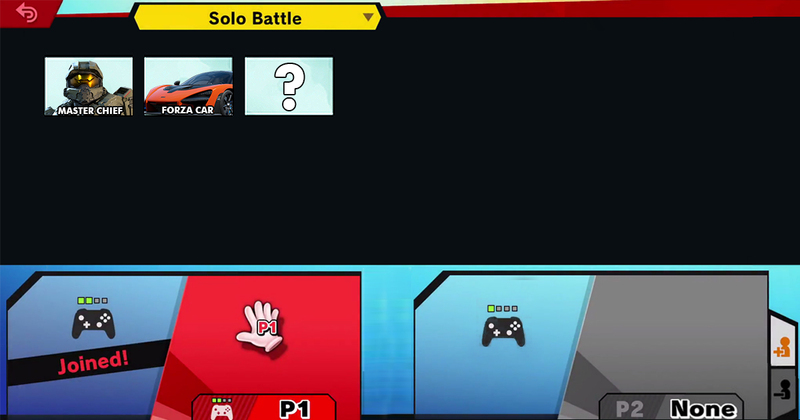 Much like the Super Smash Bros. series, each character will come with their own alternative set of skins. Master Chief will have both red and blue costumes while the Forza car will feature 58 variations, including sponsored skins by Bugatti and Land Rover. The game will feature one stage for players to fight on — a faithful recreation of the Blood Gulch map from Halo: Combat Evolved. When asked if the game would feature any additional stages, Spencer explained that while more were originally in the works, they were scrapped after testers picked Blood Gulch every time. Xbox diehards are already expressing their excitement for the game. Microsoft already announced that one DLC character will be available for the game after it launches. While fans had been hopeful that Marcus Fenix would make an appearance, Spencer revealed that the mystery character will actually be Peyton Manning from the NFL Fever series.